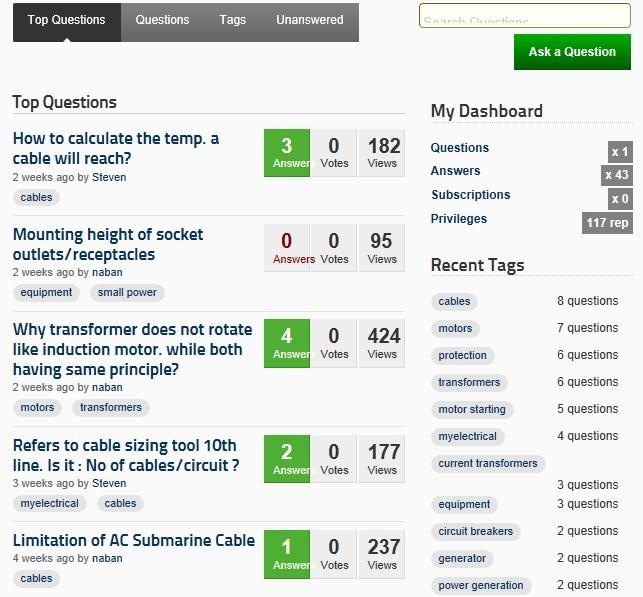 myElectrical Questions Our question and answer system while letting you do exactly what it says, is much more. It is a dynamic user driven system, where our users not only ask and answer questions, but can manage the way the system works. This is geared around reputation and privileges. By taking part in our questions - either by asking or answering, helping manage tags, or several other activities you will gain reputation. You can also gain reputation by other users voting for you questions and answers. On the flip side your reputation can be decreased - for example by having a question or answer down voted. As your reputation grows, you privileges also grow. Early privileges include removing time restrictions between posts and being able to flag/vote on posts. As your reputation continues to grow your privileges continue grow until you become a trusted user with all the same rights as a full moderator. Users who reach trusted status will be highly valued by the site. Tip: to see what privileges you have, what you can do with them and what additional ones you will soon achieve - once logged in you can click the ‘Privileges’ link under your dashboard on our questions page. Warning: you need at least one reputation point to post. Users who drop below this will no longer be able to contribute. 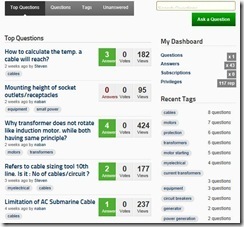 We think the questions and answer system is dynamic and interesting. Hope you do as well and now is the best time to start building reputation. Visit our questions and start to contribute..